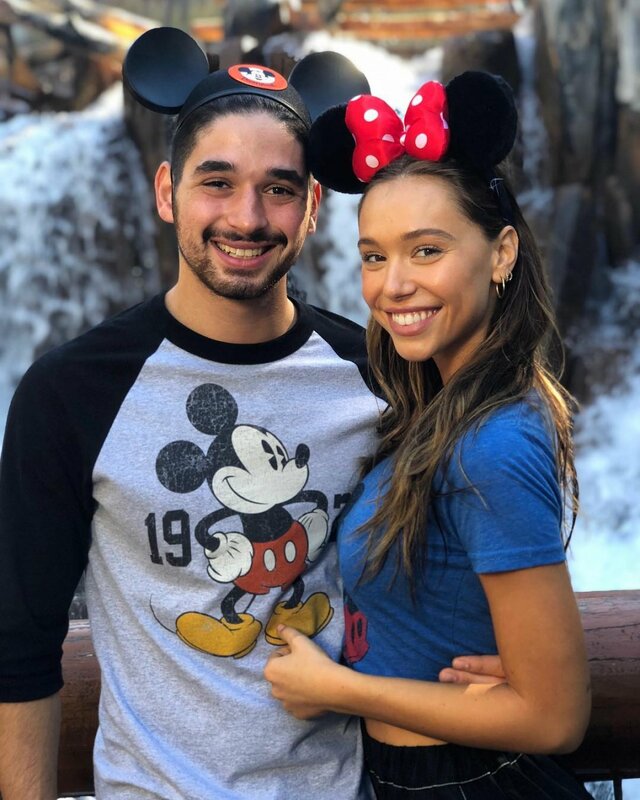 Dancing with the Stars pro Alan Bersten is keeping mum on whether he reciprocates romantic feelings for his celebrity partner, Alexis Ren, and there's apparently a reason for that. Alexis admitted on Dancing with the Stars' episode on Monday night she's "developing feelings" for Alan, but according to Us Weekly, Alan doesn't want to act on how he might be feeling -- at least for right now. "Alexis' feelings for Alan are real! She adores him," a source told Us. "Right now Alan is flattered, but wants to keep it professional while they are still competing on the show." But Alan's desire to keep things strictly platonic between the pair appears to be temporary. The source said Alan, 24, is "open to seeing what's next" for the couple once their time on Season 27 ends. "He thinks she's super sweet and beautiful," the source noted. Before taking the stage on October 29 with their Halloween-themed jazz routine, Alexis, 21, dished in a video package how she was "developing feelings" for Alan. "Alan, he's awesome. He's super outgoing. He's definitely been a really good reflection for me to not take myself so seriously. It's so much fun to dance with someone that you have a connection with. It's almost like time slows down," Alexis told the cameras. "We communicate not just through our steps and our movements, but with our hearts too. I am developing feelings for Alan... And I didn't see this one coming. But it happened really quickly though, so I think I'm still trying to process it." Alexis was then shown shyly opening up to Alan about what was in her heart, sharing with him that they clearly have "chemistry." "Sitting next to Alexis on the couch and her telling me how she feels, my emotions were all over the place," Alan told the cameras. "You know, it was a lot to take in." "Alexis' smile lights up the room. She's funny, she's kind, she has a huge heart," Alan added in the backstage footage. "I want to be 100 percent certain before I tell her how I'm feeling. I have a lot to think about." After Alexis and Alan danced on "Halloween Night" and it became time to receive their high judges' scores, Dancing with the Stars co-host Erin Andrews asked Alan point blank how he felt about Alexis and whether there was potential for romance. "Only time will tell," Alan replied, playing coy. Alexis, a model and Cover Girl, was most recently linked to yoga practitioner Sky Bear.